Article: Musician Joe Dias Brings Rock Back To This Generation With His New EP, “Rally Cry” — Listen Here! The phenomenal musician Joe Dias is known for creating some of the most magnificent songs that we all love listening to on constant repeat. True passion for rock ‘n roll music runs through his veins and he never fails to leave us all in awe with his brilliant music. Well, it’s the day we all have been waiting for — some more brand new music from the multi-talented artist and there’s no doubt about it, this has to be his best project yet! 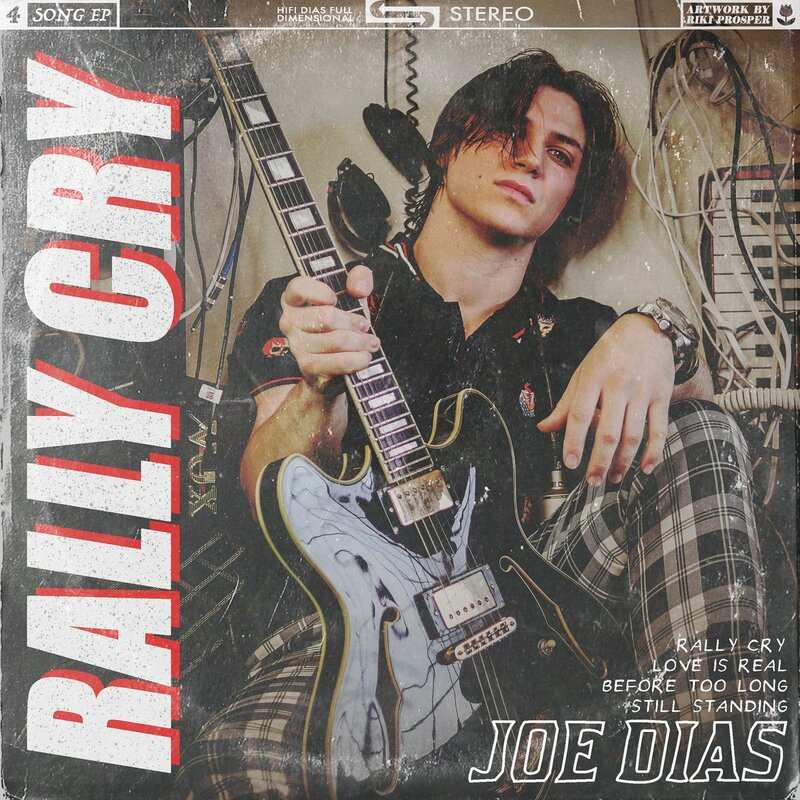 The incredible Joe Dias just released his new EP titled “Rally Cry” featuring four of the most electrifying and breathtakingly beautiful songs. Each song has so much meaning to Dias and his main goal was one thing: a rally cry to stand for the music he believes in. It’s clear to see how much hard work Joe Dias put into this EP. His vocals are perfection, the instrumentals are impeccable and the production is next level. Joe Dias shares his effortless talent in all of these songs and he makes the music-making process so seamless. PREVIEW🔥 Track 3: Before Too Long – This one is probably my favorite on the EP. I wrote this song about our society today and the rabbit hole we are going down. This song is really two songs blended together…..
Joe Dias is doing a remarkable job in bringing rock back to this generation. He continues to surpass fans’ expectations with all of his stellar projects. Be sure to listen to “Rally Cry” out now on all music streaming platforms including iTunes, Spotify and more! Previous VIPAccessEXCLUSIVE: Kat Graham, Emeraude Toubia, Lo Bosworth, Alisha Marie And Many More Celebs And Influencers Celebrated Beauty, Fashion, Self Love And Wellness At SIMPLY LA!